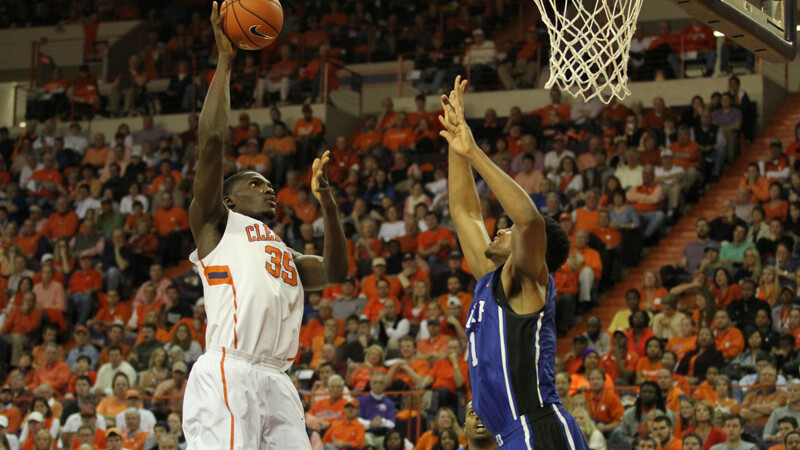 Clemson is coming off its worst defeat of the season, a 76-43 loss at No. 19 Pittsburgh, while North Carolina was defeated 76-61 in its most recent game at Virginia. A win would give Clemson victories over Duke and North Carolina in the same season for the first time since 1995-96. The Tiger program has never won in Chapel Hill in 56 tries. Clemson’s last win over North Carolina came in 2009-10 when Trevor Booker and Demontez Stitt both had over 20 points in an 83-64 victory over the 12th-ranked Tar Heels in Littlejohn Coliseum. The Tigers’ last win over the Tar Heels in the state of North Carolina was in the 1996 ACC Tournament after Greg Buckner’s dunk lifted Clemson to victory. The Tigers are in search of a third ACC road win Sunday. Only eight times in 60 previous ACC seasons has Clemson won at least three road games in conference play. Clemson coaches will be participating in the annual Suits and Sneakers Awareness Weekend in support of the NABC’s Coaches vs. Cancer initiative. Clemson only has two players – Rod Hall and K.J. McDaniels – who have played at the Smith Center. The two combined for 24 minutes as freshmen in the 2011-12 meeting. Hall has reached 2,000 minutes played in his career. He achieved the 2K mark in Clemson’s most recent game at Pittsburgh.